Kaleidoscope - 1992 - I.R.S. Mekong Delta is an on progressive metal band formed in 1985 around the character of Ralph Hubert, which is a pseudonym for Björn Eklund. Peavey of Rage was also part of the line-up. The bassist kept a low or anonymous profile in the early days. Line-ups, musicians and performers have come and gone based on timing, availability and the band’s activity. The band is often complex and intricate. Visions Fugitive features a 21-minute orchestral piece. Musicians in Mekong Delta have included guitarist Reiner Kelch and Frank Fricke of Living Death, Peavey (a.k.a. Jake Jenkins) of Rage and Jörg Michael (a.k.a. Gordon Perkins) in the early days. Rage’s Jochen Schröder, Poltergeist’s Peter Haas, Assassin’s Mike Hoffman, Siren’s Doug Lee and Helloween’s Uli Kusch have come and gone. If the early line-ups show a tendency to feature Aaarrg Records’ musicians then it comes as no surprise that Hubert owned the ‘80s label. He also was a sound engineer for Living Death, Warlock and others. Classics was the modestly titled name of a compilation of the band’s symphonic adaptations. The band began touring in 1991 coinciding with the fading mystery surrounding the act. 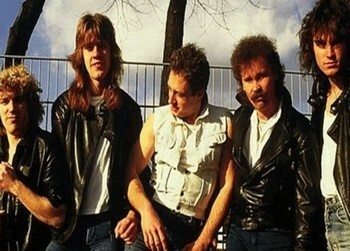 The band took a ten-year break with the turn of the century and more recently featured names like Martin LeMar on vocals, guitarist Benedikt Zimniak and drummer Alex Landenburg. The 2010 album was issued under the Zardoz imprint, a name mulled for the band prior to Mekong Delta. Mekong Delta was releasing a sampler of re-recorded material called Intersections on April 20th, 2012 through SPV/Steamhammer. Mekong Delta would release In A Mirror Darkly in April, 2014. Mekong Delta is a riverbed in southwestern Vietnam that pours into the Gulf Of Thailand and South China Sea. The Mekong River Eric Zann was a tale of H.P. Lovecraft’s.